What does it mean to read and understand a novel? Camus pointed out that we get into the habit of living before acquiring the habit of thinking. In our world of now, the habit of thought has been infected by the termites of shallowness: our joys and our sufferings have come to the surface of the vast ocean within us; we keep experiencing the waves crashing within ourselves — our restless minds — but our capacity to delve deep within — to feel the deep currents — is perhaps vanishing. Hence, how to read a novel has also been forgotten. We are too overtly concerned with our likes and dislikes, too much reduced by our conditioning and pre-conceptions, so eager to react quickly — offer alleluia or spite — that we have forgotten to travel into the world of the novel, with a blank mind freed of our own self. The few true novels amidst the cacophony of “literary fiction” do make a demand to forget our being — to abandon ourselves briefly. Without that forgetting, the novel loses its power to penetrate deep within us, and show us, what it has to offer. The seeing suffers because of our lack of inner stillness. Understanding suffers because of our instinct to pronounce judgement. We need to get out of the way, when we are reading, and yet commit our deepest awareness that lies within us — beyond our reactions and thoughts. Allow the literature to form us in a new way, allow its life to get into us. Then only literature starts to do its magic and transforms our way of seeing, feeling and understanding. In other words, true literature — that has layers within it, offers many ambiguous trails to invisible treasures, pulsates with the possibility of diverse meanings and contains hidden stories within the story — demands that we forget of our being, so that it can reveal to us, the truths of our being. One of the most recurring elements within Kundera’s method of composing a novel is digression — which he defines as “abandoning the story for a moment”. Kundera says that digression can only enhance the composition as long it stays within the arc of the theme — and can take place outside the story of the novel. I must also digress in this part of the essay. (But this digression is not random like it might seem at the beginning; there is a subtle continuity or link to the first paragraph of this part, and eventually this digression will link up with the title of this part to justify its presence in this section and the overall theme of this essay). I begin by picking up a single word or a motif from the first paragraph of this part — European — and wish to speak of a variation of the motif. In a surprising twist, Kundera doesn’t use the word “Europe” as a geographical location, but uses the word only to denote a spirit of origin that is now global, and beyond the geographical limits of Europe. But whether the novel is Europe’s creation is a contentious issue. 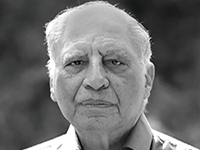 Borges, in The Dialogues of Ascetic and King, called Milinda Panha (The Questions of Milinda), dating back to 100 BCE, “a novel of doctrinal intent”. But perhaps more than actual history which never remains static but gets re-interpreted in time — through new revelations and removal of conscious or unconscious neglect and prejudices — what is important is the historical perception of a certain history that influences a certain individual at a certain moment of time; that for him or her is a truth. One can call it a falsified truth or a distorted truth. But it is better to call it a relative truth that is derived through one’s perception, experience, belief and understanding that is relative to one’s exposure, opportunity to know, inclinations and nature of self. We are full of relative truths than actual truths; it is one of our existential enigmas. Hence, “Knowledge is the Novel’s only Morality” becomes such an important dictum, ideated by Broch, that inspires Kundera. The novel has to explore life to gather knowledge, discover a hitherto unknown segment of existence and make an attempt to take us closer to actual truths through the maze of relative truths. This is the raison d’être of the novel — the most profound reason for its existence. We live in a time that Kundera describes as “a period of repetition in which the novel keeps duplicating its form, emptied of its spirit”. The spirit of the novel that he talks about is related to the sequence of discoveries, something previously unachieved. For Kundera, the striving for the unachieved, instead of duplicating existent forms, is the marker of great literature. Kundera tells us that the novels which seek and discover the unachieved is part of the history of the novel, and novels which don’t are outside the long history that began with Cervantes, and nothing more than “graphomania — the mania to write books (to have a public of unknown readers); not to create a form but to impose one’s self on others”. That he calls, “the most grotesque version of the will to power”. Kundera sees form as the hallmark of originality, not only the writing. He sees the “exceptional importance of composition” as “one of the genetic markers of the art of the novel. With such a profound gaze upon the beauty of form and the beauty of composition, Kundera achieves the unachieved in the most splendid form of his artistic vision in The Book of Laughter and Forgetting. A novel that is a fusion of stories, memoir, meditations, novelistic essay, fable, jokes and anecdotes, where the novel is held together by a theme; and even a chapter — divided in several unrelated parts — is held together by a common question! The same characters, or even a protagonist, are no longer required to be present in all the chapters of the novel. The theme or a question can be the thread that holds diverse elements together. He discovers a new way, forges a fresh path and makes a major contribution to our knowledge about the novel. Kundera demonstrates what he seeks in a novel: to achieve something previously unachieved; and assures his place within the history of the novel. Kundera is sometimes propelled to enter the world of his novels as himself; and to follow his spirit — the very essence of this essay, I am also propelled to intervene here, in context of the self. I feel that the enigma of the self cannot be solved by simply making an attempt to grasp the individual self that is in a constant state of flux. I use the term individual self because this is what Kundera means by the word self; in a different context, say Indian philosophy, the word self has a different scope of meaning, and goes beyond personalised individuality. The individual self is always changing in real life, and some novels reflect that. Unless one is following and writing about a character from birth to death, what can be hoped is to grasp a certain point within the span of the evolution of the individual self. However, beyond the individual self there is an invisible structure or architecture from which the individual self arises. If the individual self is the distinct symphony that is being played by time on a piano, then the invisible common structure of human self is the piano. Without the attempt to cognize the piano — unchanging human self, the effort to cognize the symphony — changing individual self, will also end in dissatisfaction. My own attempt in my debut novel has been to cognize the human self from which the individual self arises. The protagonist himself asks the question — what is the human self? And he sets out to understand it. I have always been in a dialogue with authors, poets, mystics and philosophers, who inspire me. 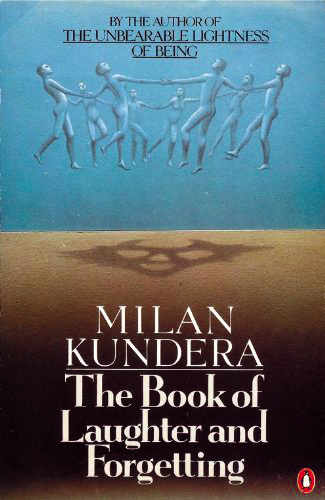 I wish to say to Kundera that the quest to grasp the self in the novel has not died — even though very few can discern the efforts being made; it is continuing and will continue — consciously and unconsciously — in the twenty first century novels; but in the language, the tone, the milieu and the realities of our new century. The enigma of self is the most ancient of all human enigmas. Before the birth of the modern novel, the questions related to the self had occupied the poets, the mystics and the philosophers. The enigma is still not resolved, and until it is resolved, the enigma will continue to haunt us, and some would always make fresh efforts to understand it; but one must always remember that the quest is the justification, the joy, the salvation — the unlikely triumph and the likely failure, doesn’t matter. That’s what Kundera writes in The Unbearable Lightness of Being: The novel is not the author’s confession; it is an investigation of human life in the trap the world has become. Kundera thinks himself to be a novelist (explorer of existence) not a writer. Apart from 11 novels and a play, he has published four non-fiction books consisting of essays, reflections, recollections and interviews — The Art of the Novel, Testaments Betrayed, The Curtain and Encounter — where he is also exploring the novel as a distinct form of art, not simply writing, and defines the novel as “the great prose form in which an author thoroughly explores, by means of experimental selves (characters), some themes of existence”. Kundera takes inspiration from Broch and Kafka and he breaks the sacred conventions of writing about characters — he takes out the inessentials. Kundera is as much interested in music, as he is in literature. From music he borrows the polyphonic way of composition. He says, “Polyphony in music is the simultaneous presentation of two or more voices (melodic lines) that are perfectly bound together but still keep their relative independence.” And he uses this method in his novels. Christian Salmon helps Kundera to surmise the two archetype-forms in his novels: 1) Polyphonic composition that brings heterogeneous elements together within an architecture based on number seven; 2) farcical, homogeneous theatrical composition that verges on the improbable. Kundera once said in Testaments Betrayed that he is “partway along a road, in dialogue with those who preceded me and even perhaps (but less so) with those still to come”. The dialogue with Kundera, I believe, will continue; not “perhaps (but less so) with those still to come” as Kundera had speculated, but certainly, going by the works he has created and the possibilities he has shown and spoken about. For Kundera, three most important novelists of the twentieth century are Kafka, Broch and Musil. He says this because he thinks that this trinity of pleiadians, not only strived for the unachieved, but also opened out possibilities for the future development of the history of the novel. Kundera also speaks about four unheard appeals: the appeal of play (Sterne’s Tristram Shandy and Diderot’s Jacques le Fataliste which reached the heights of playfulness, of lightness, never scaled before or since); the appeal of dream (that was achieved by Kafka through his fusion of dream and reality that showed that the novel is a place where the imagination can explode as in a dream, and that the novel can break free of the seemingly inescapable imperative of verisimilitude); the appeal of thought (Musil and Broch who brought a sovereign and radiant intelligence to bear on the novel and could make of the novel the supreme intellectual synthesis); the appeal of time (to broaden the time issue to the enigma of collective time). Kundera imagines in anguish a time when art shall cease to seek out the never-said and will go docilely back into the service of the collective life. That he calls, not the history of art that is perishable, but the babble of art that is eternal. He also points out the future possibilities — the unanswered appeals — and wishes nothing more than the successive development of the history of the novel: to explore existence by seeking to create new forms; to strive for the unachieved. I could have easily escaped the number, but I consciously decided to ideate and compose this polyphonic essay in two voices — mine and Kundera (through his quotes) — in seven parts. (To remain as close to the essential spirit of Kundera has been the conscious objective of this essay). It is almost needless to mention that Kundera’s recently released novel The Festival of Insignificance — at the age of 85 — is also set in seven chapters. From the very first novel — The Joke — Kundera has been preoccupied by the effort to grasp the self. And his method takes inspiration from Kafka — to grasp the self through existential situations. One of the consistent enigmas of the individual self is: in spite of the passage of time, in spite of the constant flux of change that comes through the shifts of inner impulses or externalities, there is a distinct individualistic self-pattern that accompanies us through our lives, till the very end. Like a distinct fingerprint, there is a self-pattern that identifies us, but also provides a consistency within all the stages of our change, development and evolution. It is the link through which the successive development of the individual self happens — within the changing “I”, the essential “me”. There is an essential “me” and the secret message and purpose of life is to come closer to that “me”; find a path in our life that is agreeable to that “me” or can allow that “me” to express itself. The freedom to be “me” is the most unsaid fundamental instinct of the human soul. Understanding this “me” and following the path of “me” is our prime existential struggle, and our hidden impulse behind our deepest thoughts, our decisions and our individuality. To summarise further and to say the unsaid: from the invisible structure of the human self, arises the individual self. Within the changing individual self, there is an unchanging abstraction (also the root of our inner conflicts) — the essential “me” within the changing “I”. These are the three layers of self that is played by the mysterious element of time — the most fundamental enigma of our existence. 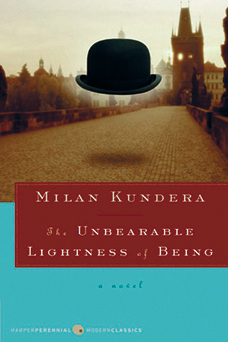 Hence, even at the age of 85, the essential “me” of Kundera, the novelist, remains the same — The Festival of Insignificance falls under archetype-form of Kunderaesque novels, and is a fusion of farcical, homogeneous theatrical composition that verges on the improbable and a polyphonic composition that brings heterogeneous elements together within an architecture based on number seven — but the changing “I” of Kundera, brought about by the passage of time, takes a different look at the world, from his point of view that is also very European, and now, located in Paris, France. In this novel, Kundera is also looking to grasp the self. But there is a development. 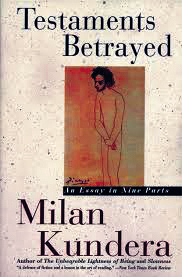 Through the existential situations of the characters, Kundera is also trying to grasp the self of the times — its psyche and spirit; and he is doing so by also gazing upon the totalitarian regime of the past — a history he lived through in Czechoslovakia, before leaving his own country, and driving away to France, where he is living since 1975. But Kundera is not doing so as an immigrant in exile. Kundera became a naturalised French citizen in 1981, and he “sees himself as a French writer and insists his work should be studied as French literature and classified as such in book stores”. From 1993, Kundera has only written novels and non-fiction in French. Since he prefers to live incognito and rarely speaks to the media, whether he also gives interviews only in French, is not known. This biographical detail is essential to remember before one begins to talk about the novel — it is a view from Europe, and about Europe. The novel is set in contemporary Paris, and the most important setting is the Luxembourg Gardens — where the theatrical finale of the novel also takes place — where “in an immense circle, stood great white statues of the queens of France; and farther still, on the grass beneath the trees, here and there in every direction, stood sculptures of poets, painters and scientists”. No one is bothered to look at the statues or to read the inscriptions on the pedestals — the strollers in the park are benignly indifferent. Through such observations, such as the indifference to history, Kundera makes a lot of comments, throughout the novel, about the psyche of the times that he also calls — through a character — the “post-joke age”. We arrive at the code of the novel — insignificance of life. The serious question is presented to us with the lightest of touches. D’Ardelo lies about having cancer to Ramon, but D’Ardelo himself doesn’t know the reason for the lie. Not having a reason amuses D’Ardelo, but he takes pleasure in a good mood. Ramon inhales indifference “like a soothing calm”. Quaquelique, the womaniser, succeeds in his conquests because of “insignificance” — his method of conquest didn’t demand any “intelligent response whatever, no ready wit”. Caliban, a struggling actor, whose benefits diminished year after year, “as indeed they did for thousands of other unemployed actors, dancers, singers”, took on the role of a waiter in social events for private clients, where to amuse himself out of boredom, he takes on the random identity of being a Pakistani and speaks in a babble of meaningless sounds which he invents; and in such a party, a Portuguese maid takes a fancy for him without understanding anything Caliban was saying, and “their communication in two languages neither understood brought them close”. The utter pointlessness of actions — and the lack of reason for them — is the primary theme of the novel — a farcical portrait of the general psyche of the contemporary times in Paris, where the primary obsession is to search for a good mood. The totalitarian history — that Kundera himself had lived through — is represented in the novel by Stalin and his group, but the history — absolved of all seriousness by the passage of time — is presented to us as a farce, as lightly as puppet theatre. Kundera has always been a contemporary novelist – he always wrote novels from the view of the present. In this novel he also gazes at the past from the present, and sees the fading of all significance of that history; and he does this, with a laugh. From Khrushchev’s Memoirs an anecdote – about Stalin who once spotted twenty four partridges perched on a tree, shot down twelve of them, ran out of shells, trekked thirteen kilometres back to his house, picked up twelve more shells, returned to the spot where the twelve remaining partridges were still sitting on the tree, and finally he killed them all – becomes the beginning of an inspiration for Charles to invent a play for the marionette theatre. If one looks closely at the other motifs which appear in the novel such as that of the mother, of daydreams and of angels, several possibilities emerge of various other meanings — chiefly of an impending doom or an utter decline in the cultural life of France, and even of Europe. Kundera had reiterated before that the novelist is neither a historian nor a prophet, but he has used the motif of prophecy in this novel. Absence of humour in the present times is compared to the absence of humour in a totalitarian state. When an age or an era tends to lose its sense of humour, then it begins to become dangerous or begins to decline — is a dark prognosis of this novel. This universal insight is of great value in context of India as well, where jokes about powerful politicians in social media or emails have led to police action. Those who have no sense of humour or cannot tolerate jokes about themselves are those who are not only petty revenge seekers with poor imagination, but they are the victims of egotism and have latent totalitarian impulses — which come with the allied traits: corruption, abuse of power, sycophancy and cronyism. The uninspiring portrait of contemporary Paris in the novel might also trigger the Paris Syndrome, especially to the readers who might still have an idealized image of Paris in them. Those looking for the Paris of art, literature and culture — the smoke filled cafes with intellectuals and passionate romances — might get the transient psychological disorder that the Japanese tourists are more vulnerable to, and come to bitter reality. The Festival of Insignificance has to be read carefully, by taking many pauses for laughter, and also for reflection. Kundera through his story of four friends in contemporary Paris — Alain, Ramon, Charles and Caliban, does more in hundred and fifteen pages, than any novelist can hope to do so in such a slim volume. In the present climate of literary fiction — I hesitate to say literature — misery has come to be the centrality for seriousness. Misery, and also the volume of the pages — indicative of weight — have become markers of seriousness. Even a Man Booker Prize judge Michael Wood admitted in an article recently published in The Guardian that the subjects of the novels which have been shortlisted for the 2015 prize are ‘pretty grim’. In such a climate, The Festival of Insignificance is like a breath of fresh air with its lightness — both of volume and of spirit — and yet it manages to capture and reveal much more, and also raise the serious question about the significance of life itself. There is little doubt that it is Kundera who is speaking to us through Ramon. But can we inhale the insignificance that is all around, see its beauty and learn to love it? Is it the ‘key to wisdom’ and the ‘key to a good mood’? Often the works of literature don’t provide the answers, but raises the right questions, and forces us to reflect. 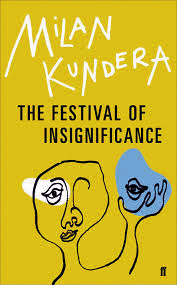 The Festival of Insignificance – the best novel that Kundera has written in French – is a delightful invitation to go for a deep reflection. Paradoxically, it is a significant novel about insignificance — a memorable epilogue in the oeuvre of the greatest living novelist of our times, a dazzling essayist on the art of the novel and one of the finest novelists in the history of our world.